I think a wonderful promotion to highlight would be Backyard Bounce!! 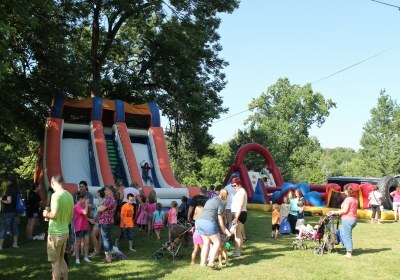 This June we will be headed out on WBGL’s 10th annual Backyard Bounce. 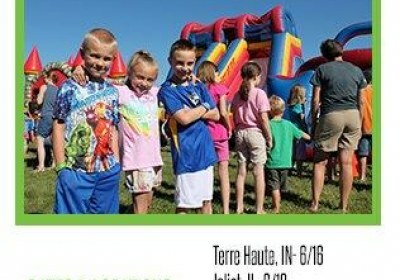 Backyard Bounce is a series of completely free events set up to serve communities all over our listening area with giant inflatables for kids. So this year we will be headed to six different parks stretching from Terre Haute, IN to Chicagoland, Champaign, and Southern Illinois. 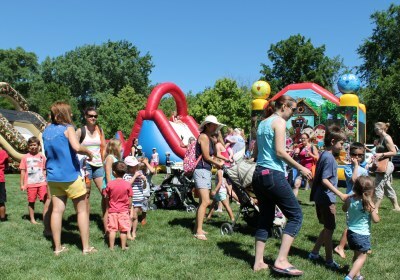 At these parks we will set up with giant inflatables for kids of all different ages. 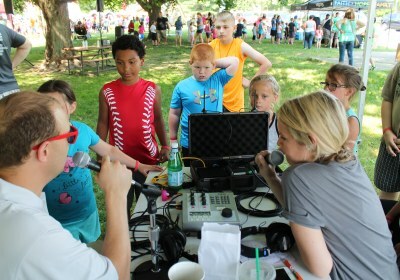 Our Morning Show hosts Johnathan and Lindsey will be broadcasting live! 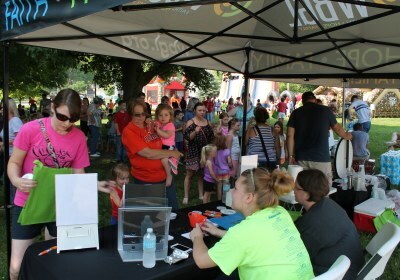 We market all of these events as totally free to the community, all you need to bring is your kids. If people come and they would like to bring something to donate, almost every year we pick an organization to support. This year we will be supporting Compassion International by collecting spare change to build a safe playground for children in a dangerous part of El Salvador. And our amazing underwriting team does an amazing job to get this promotion sponsored by local business and churches. I think this promotion is an amazing way to get out and spend time in the communities across our listening area. We love being able to bless families and provide a fun, special day for moms and kids over the summer. 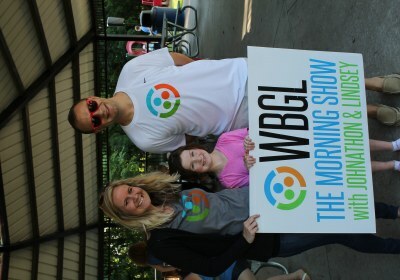 I am personally so excited to be part of this promotion for the first time this year as a new member of the WBGL team. Everyone involved makes some kind of sacrifice to make this promotion work, from being on the road a few days at a time, to spending some crazy hours outside in the heat of Summer, but I think it just shows the commitment this station has to loving their listeners. I have attached some pictures and promotional material from this year. If you need any more information or details, please let me know!